Norpace (Disopyramide Phosphate) is indicated for the treatment of a certain type of serious irregular heartbeat like persistent ventricular tachycardia. This is used to restore normal heart rhythm and maintain a regular and steady heart. How does Norpace (Disopyramide Phosphate) Capsule work? 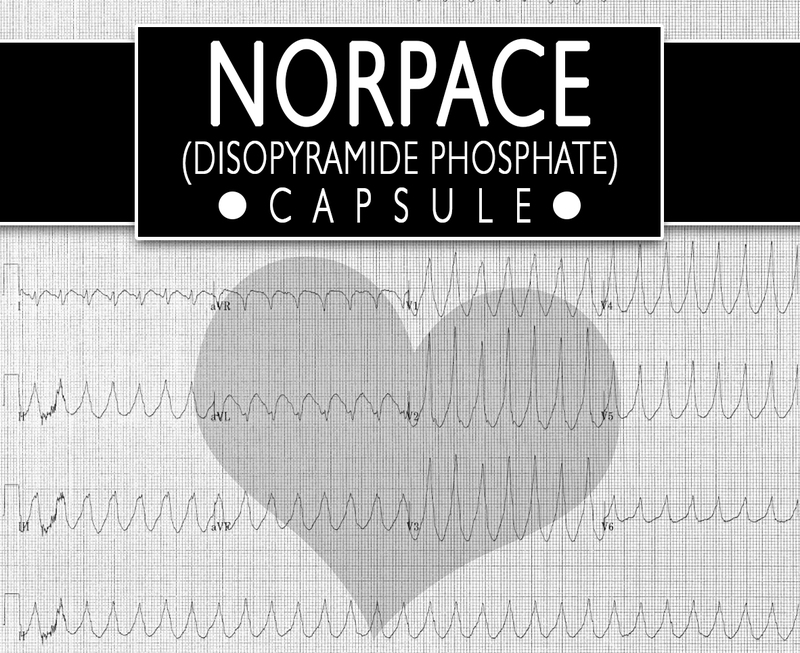 Norpace (Disopyramide Phosphate) is a Type 1A antiarrhythmic drug that inhibits the fast sodium channels. This blocks a certain electrical signal in the heart that can cause an irregular heartbeat. Treating an irregular heartbeat can decrease the risk of blood clots. Its effect can reduce the risk of a heart attack or stroke. Why use Norpace (Disopyramide Phosphate) Capsule? Norpace (Disopyramide Phosphate) belongs to the group of medications known as an anti-arrhythmic drug. This is for oral administration that has 100mg or 150mg of Disopyramide Phosphate. It is available in immediate-release and controlled-release capsules. The Food and Drug Administration (FDA) has approved this medication already. How to use Norpace (Disopyramide Phosphate) Capsule? The recommended dosage for this drug is based on your medical condition and response. Norpace Capsule is usually taken 4 times a day for immediate-release form. For extended-release form, it is usually taken twice a day. Swallow it as a whole do not break or chew it. Take it at the same time each day or as directed by your doctor. Use it regularly to get the most benefit of it. Do not stop the medication or change the dose without consulting your doctor. Before taking this drug, inform your doctor if you have any allergies, medical history, or current medications. Stop taking this if there is an allergic reaction or an overdose. Do not share this medication with others who have the same symptoms as yours. Let them consult a doctor. During pregnancy, this should be used only when clearly needed. Talk to your doctor first if you are breastfeeding women.